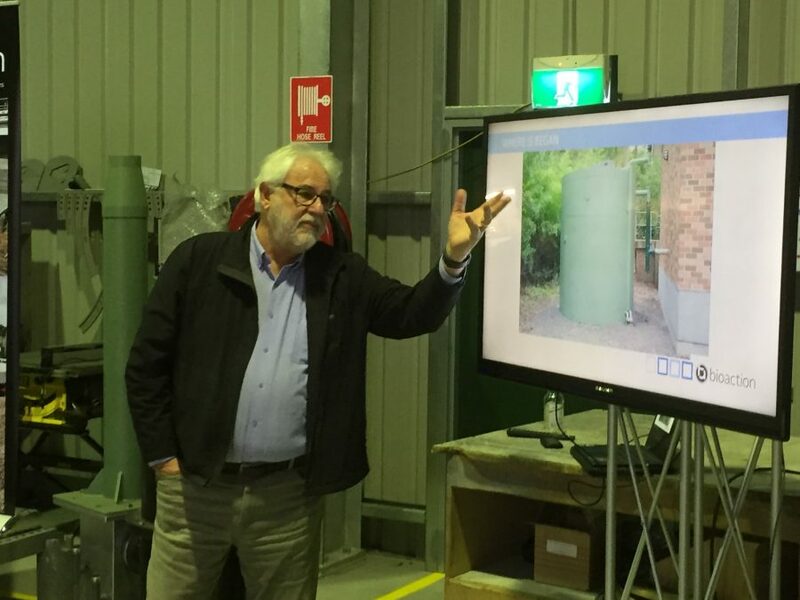 On 29th August Central Coast Industry Connect held a networking event at Bioaction with over 30 people in attendance. The evening was sponsored the Federal Government’s Entrepreneurs Program. Frank Sammut, Executive Director or CCIC commenced the evening by welcoming guests and introducing Mike Goldman, representative from the Entrepreneurs Program. Larry Botham, one of the owners of Bioaction was pleased to present his business, a true start-up business and their success story. He addressed the changes his business has faced and how they have navigated challenges to position their business as a viable SME. Bioaction specialises in the research, design, installation and maintenance of biological, oxidising and absorption air phase filtration systems for the treatment and removal of odours and emissions. Their leading-edge solutions are suitable for industries producing organic and inorganic odours and emissions including industries related to wastewater, waste management, food manufacture, agri-foods and other industrial applications. Our Australia-wide business is built on a solid reputation for innovative solutions, value and service. Bioaction won the Central Coast Business Excellence Award for Innovation as well as Business of the year in 2017. The evening concluded with a tour of facility, showcasing some of the equipment Bioaction produces.